Thank you all for the kind comments and emails from my last Four Square post. I really enjoyed finishing the blocks and assembling the quilt top, in the final quiet moments before school was let out for the summer. 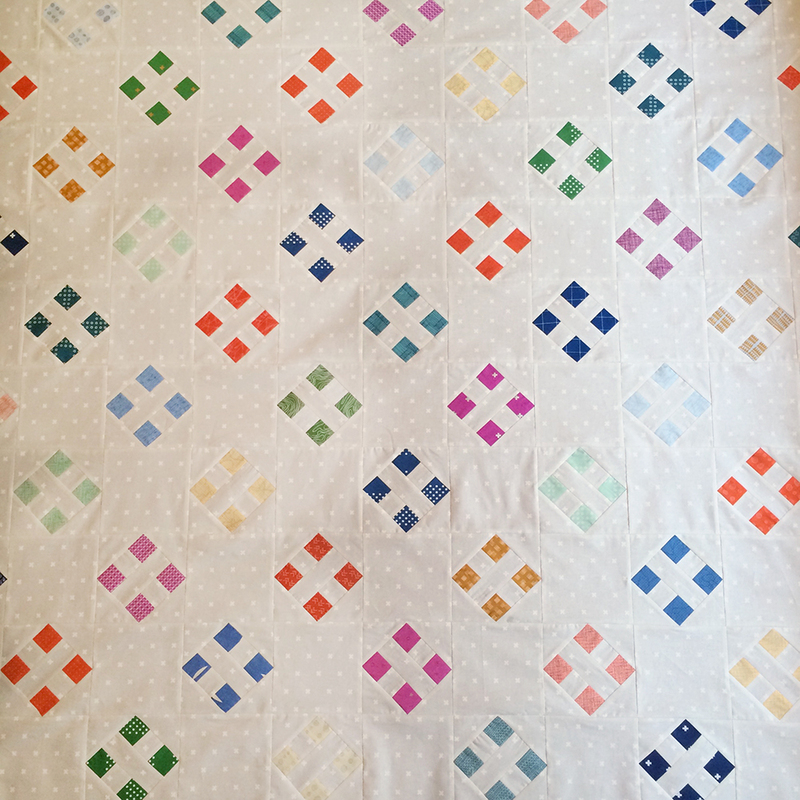 For those that have asked, I did write a pattern for this quilt. The PDF version will be available as soon as the quilt is finished and photographed. Although I love the cleanness of this quilt and fabric choices, I also think it would look great with a scrappy background. I believe the block-based construction will allow for this quite easily. The biggest challenge for this quilt has been ensuring I stitch consistent 1/4" seams. I like to sew fast. :) I forced myself to take it slow and easy. The kids are officially out of school but I do hope to work some time in at the sewing machine each day. Keep an eye out for the finished Four Square quilt soon!